Wednesday 21 October was a working day like any other day for the commuters of Joburg, the only difference was the influx of high-profile City of Joburg officials, CEOs and South African celebs commuting alongside them. Not something you usually see on public transport, according to WWF South Africa, and “a lot more fun than another day at the office”, according to Graeme Stephens, CEO of Sun International. The reason? The WWF EcoMobility Challenge, a WWF South Africa initiative held in association with the City of Johannesburg, aimed at demonstrating the solutions available to tackle climate change, while at the same time highlighting the benefits in shifting to public from private transport. 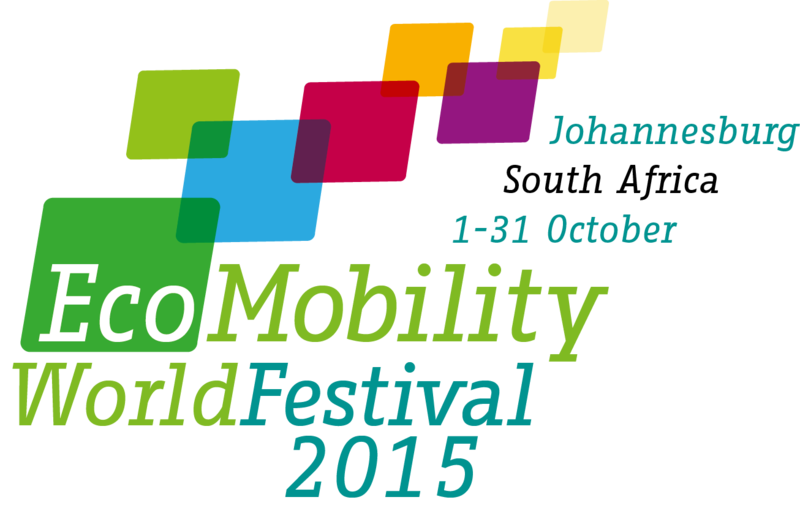 Held during the month-long global EcoMobility World Festival, the Challenge saw teams of racers navigating a series of destination checkpoints across Johannesburg using only public transport, minibus taxi, or electric or non-motorised transport. Kicking off at the WWF building in Braamfontein, Lisa Seftel, Executive Director of Transport for the City of Joburg, opened the race and gave teams their first clue. The teams worked hard puzzling out clues which led them to Hector Pieterson Square, Orlando Stadium, Maponya Mall and on to the Sanlam building in Sandton. Armed only with maps, public transport timetables and other tools to guide them, and their commitment to the cause, all strategised with the end goal in mind – to be the team with the lowest ‘carbon footprint’ to cross the endpoint before the cut-off time. Maps Maponyane, one of SA’s most-loved celebrities, also went EcoMobile in support of the cause and highlighted the benefits in shifting to public transport, which include less congestion, lower infrastructure costs, health benefits, and local economic development. “There are no parking issues, it saves costs, and it’s easy to travel in large numbers,” he said. With all said and done (and walked and ran and cycled), it was a team comprising Graeme Stephens (CEO of Sun International), Liesl Lauries (Miss South Africa), Bongani Xakaza (South African National Energy Development Institute or SANEDI) and Innocent Nkosi (University of Johannsburg) who came out tops. From beginning to end, the team that won were carbon-conscious about the modes of transport they used, and walked or cycled whenever the distance allowed. At one Rea Vaya interchange they chose not to catch the bus for the second part of that stage and rather walked. On the trip from Park Station to Sandton they caught a minibus taxi, which had a lower footprint than the Gautrain – which most teams opted for – and then walked to the closing ceremony instead of taking an eTukTuk. According to Graeme Stephens, they “couldn’t have been more eco-friendly”. Valli Moosa, Chair of the WWF South Africa board, handed the team that won their prize, but it was not all fun and games. MMC of Transport, Councillor Christine Walters, who also took part in the Challenge, then addressed the awards ceremony on the City’s Strategic Integrated Transport Plan and how this addresses climate change. “A group of people from different cultures, different age group, different academic and work backgrounds committed to one purpose – today, we practically displayed that we can lesson our carbon emission footprint by choosing instead to travel via Rea Vaya, Gautrain, minibus taxi, cycling, walking and electric car”, said Councillor Walters. CEO of WWF South Africa, Morné du Plessis, who participated in the Challenge to get first-hand experience of the types of transport options in Jozi, while hearing what regular commuters think about their commute, really enjoyed the challenge and connecting with the people of Jozi. “I was surprised to see the willingness of the people of Johannesburg to engage with strangers who wanted to ask them questions about transport. As individuals, we can reduce our own carbon footprint in many ways. But the single biggest contribution we can make is to ‘change the way you move’ as the City’s theme says. Our race today showed the way,” he said.